Awwwww such a delightful image. Stunning colouring and I love the papers too. Your card is gorgeous and soooo adorable. wat een scheetje met zijn kuikentjes, en weer super gekleurd Heidy. Wat een lieve kaart heb je gemaakt, met de kleine kuikentjes. Leuke gestempelde ei ook. Gorgeous card! Nice colours and image. So sweet! Such a delicate sky! A darling little card! This is so cute and your colouring of the gorgeous image is awesome. The grass in particular. The layout and embellishments is fantastic. All has set Mo's awesome digi off a treat. Great coloring and such a cute card! This is a cute card -- great to send a child or a child at heart. Your card is a heart stealer. How sweet it is. 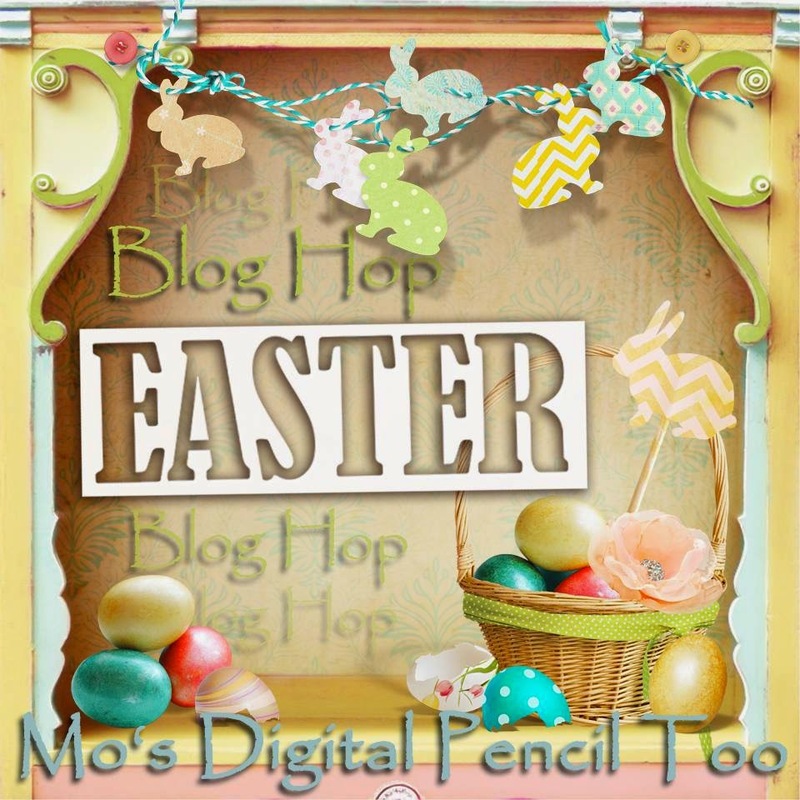 The layout, the easter blessings tag and the awesome ribbon are perfect. I love the "chickies" image. I love your card :) thank you bunches for sharing it with us. Love that Mo creates these little boys too, he's so stinking cute, :). Your colouring is fabulous. wat heb je dit weer geweldig mooi gekleurd. De kaar is een lieverdje door het leuke plaatje! Wow - what a pretty image! Lovely coloring & design. Super sweet image and gorgeous background you created for it! Love your card! Love, love this image and I love your card. Thank you so much for sharing with us. 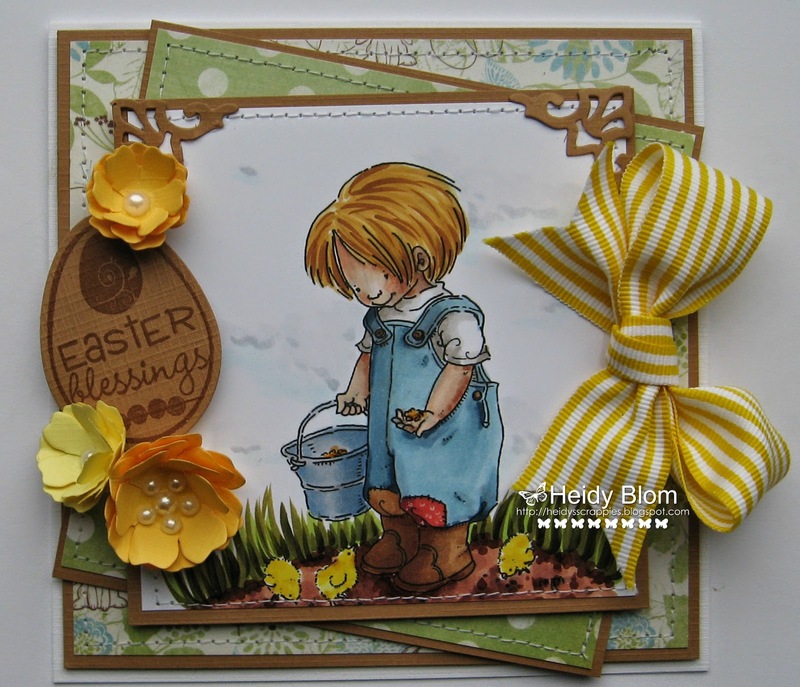 So adorable Heidy...beautiful image and colouring and love the sentiment on the egg.. 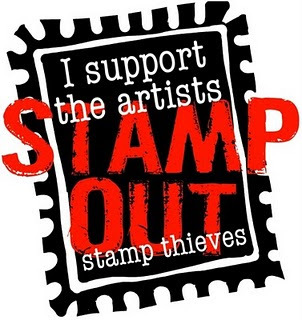 Awesome card, love the stamps. 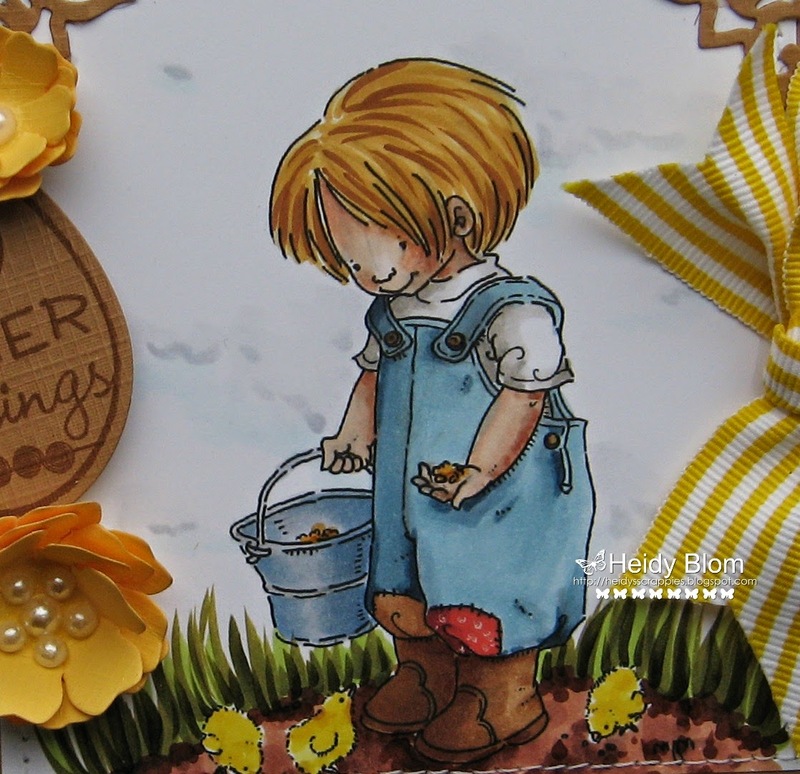 Love the stamp, your colouring and the layers and stitching! Oh I love this little guy! Great card! She is so cute. My brother is a lot older than I am and he brought me home a chick for Easter. I don't think anyone can do this now. Anyway, I love the image. Wonderful! I love that big bow and your pretty yellow blooms. Just right for Easter. Hugs! I love this card Heidy! 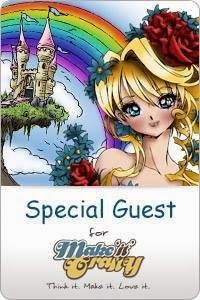 Love the image, your colouring and design. Fabulous bow... I'm bow challenged so I really admire those that can do them. Yours is great!